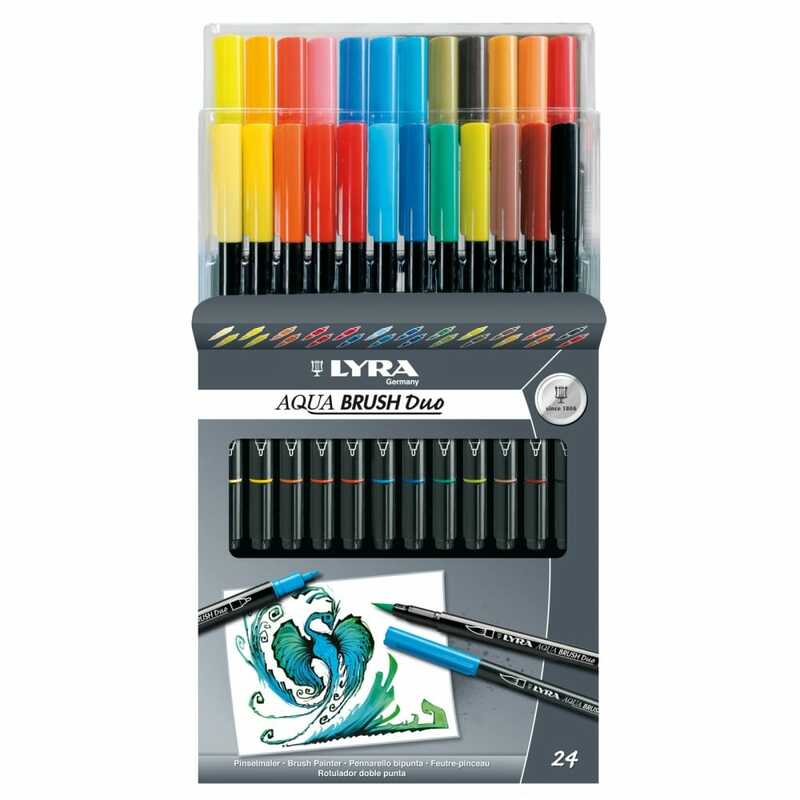 Showing 2 Lyra Aqua Brush Duo 24 Pack reviews. Average rating of Excellent. Would you like to write a review? Bought for my 5 year old daughter she loves all sorts of crafts, and is very talented in the drawing side of things even at this young age. She has had these pens for a year now and they are still going strong, they still colour as the day they were bought even after near enough everyday use. Well worth the money, I would highly recommend. The Pen's colour really well without bleeding through pages. I was even able to write on a thin piece of A4 paper without any of the ink showing on the other side. The pens have a good, solid colour and are a dream to use. I would highly recommend them to anyone that enjoys colouring.